Everyone who moves to a Serenades Memory Care community has led a unique life and experienced special moments worth remembering. That’s why we’ve redefined the care we provide, focusing on a single purpose of helping residents feel as much like themselves as possible. Truly valuing each resident’s abilities and fostering meaningful living is what makes Serenades communities shine. Homelike. Compassionate. Distinctive…Meet Your Family’s Partner in Memory Care. 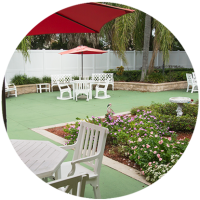 Serenades by Sonata’s highly effective award-winning memory care program is unlike any other you’ll find in Central Florida! 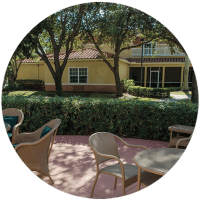 From our warm, inviting neighborhoods designed with state-of-the-art safety features to our kind and compassionate team of dementia-certified caregivers and staff, the Serenades by Sonata Memory Care program has everything your loved one needs to feel safe, happy and right at home. Serenades at Longwood provides dementia care residents with customizable means and encouragement to boost their physical, emotional and mental well-being. Serenades at West Orange’s award-winning memory care program is designed to safely enhance the lives of those with Alzheimer’s disease and other forms of dementia in a homelike environment. 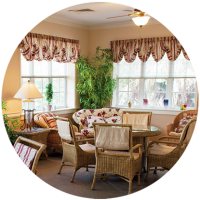 Serenades at The Villages features three cozy and secure neighborhoods that provide our residents with a home-like feel and person-directed care. Honoring the Sonata Senior Living promise to help residents maintain their individuality and independence for as long as possible came with a special challenge when building Sonata’s Serenades communities: In addition to a hassle-free, vibrant lifestyle fueled by signature programming and cutting-edge technology, the Serenades communities also had to be unique, secure, highly functional, homelike alternatives to the traditional memory care facilities currently operating in Central Florida. Serenades Memory Care communities welcome residents home. 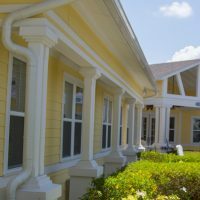 In addition to warm and inviting places to relax, visit with family and friends and engage in social activities, each Serenades dementia care neighborhood’s design element is deliberately chosen to soothe residents and give them the freedom and confidence to navigate their home and outdoor spaces as they wish – with safety, security and confidence. Elements include beautiful yet simplistic open floor plans, color-coding and cueing for easy orientation and navigation and special lighting that reduces glare as well as anxiety. 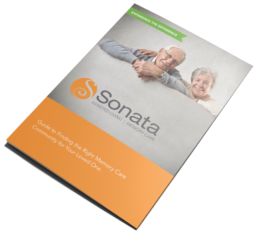 Sonata Senior Living’s Live It Up!℠ nurtures the seven dimensions of wellness as identified by the International Council on Active Aging®: Emotional, Intellectual, Physical, Vocational, Social, Spiritual and Environmental. Serenades Memory Care shares these principles and combines them with renowned dementia care expert Teepa Snow’s Positive Approach™ to Care to offer countless combinations of stimulating activities that target memory care residents’ individual needs, preferences and interests to help them maintain and improve their skills and abilities to enjoy an optimum quality of life. Residents in even the most advanced stages of dementia have something valuable to contribute to the Serenades family – themselves. And we remind them that they are cherished individuals every chance we get, both verbally and demonstratively. Reassuring people with memory loss that they’re cared for and respected as adult individuals is vital to their sense of belonging, confidence and happiness. 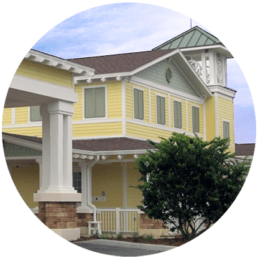 One way we provide reassurance is through personalized Alzheimer’s and dementia care plans as well as consistent daily routines that residents can count on. Created with residents and their families, each individual’s care plan and schedule are determined by his or her needs and timing preferences, not our staff’s convenience. Residents’ families are our families, too. They count on us to provide support and education, include them in their loved one’s care and welcome their involvement in daily activities. 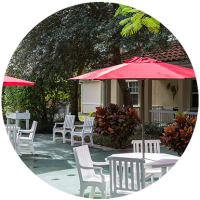 Our inviting family-friendly neighborhoods – complete with resource library, dining and gathering areas and an outdoor playground – encourage positive, meaningful visits from family and friends of all ages. The Serenades by Sonata memory care model received back-to-back Best of the Best awards from the Assisted Living Federation of America (now Argentum) for our purpose-built design, person-centered care and programming. Every resident is unique. It’s something we’ve fully embraced, going above and beyond to integrate Teepa Snow’s Positive Approach™ to Care into our philosophy. Rather than perform tasks for the resident, we perform tasks with them to optimize their ability and create confidence, self-control and trust. Evaluations and care plans focus on each resident’s current abilities instead of what has been lost, maximizing engagement, function, health and happiness. Integrating residents’ life stories and preferences into daily care allows us to use familiarity to improve personal connections, independence and emotional well-being. 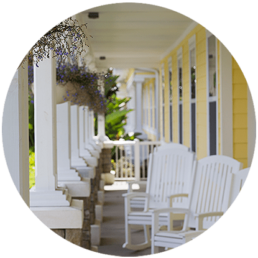 Across our four communities, seniors and their families will find carefully planned intimate layouts that enable the greatest likelihood for success. With our environment that fosters freedom, we can help our residents achieve.